In The Evolving European City, renowned urban planner and architect Giuseppe Marinoni and eminent photographer Giovanni Chiaramonte assemble a breathtaking presentation of cities that have undergone profound change in order to combat congestion, pollution, and the unsightliness of industrial wastelands. Marinoni conveys a profound belief that unified urban plans under the direction of one creative vision can bring an enhanced quality of life to city dwellers, provide them with the means to move easily to and from home, work, and at the same time ensure environmental sustainability. 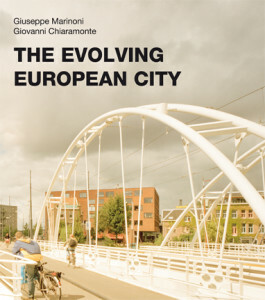 Chiaramonte, through his exquisite photographs of sites in the Netherlands, Spain, Germany, France, Portugal, Italy, and the United Kingdom, offers readers visual evidence of the architectural and infrastructure accomplishments of European urban projects over the last two decades. Beautifully presented in eye-opening detail, The Evolving European City is a timely representation of environmental sustainability and social progress in the modern age.